There was extra of the yellow and red fabrics, so I pieced them together to make the quilt back. 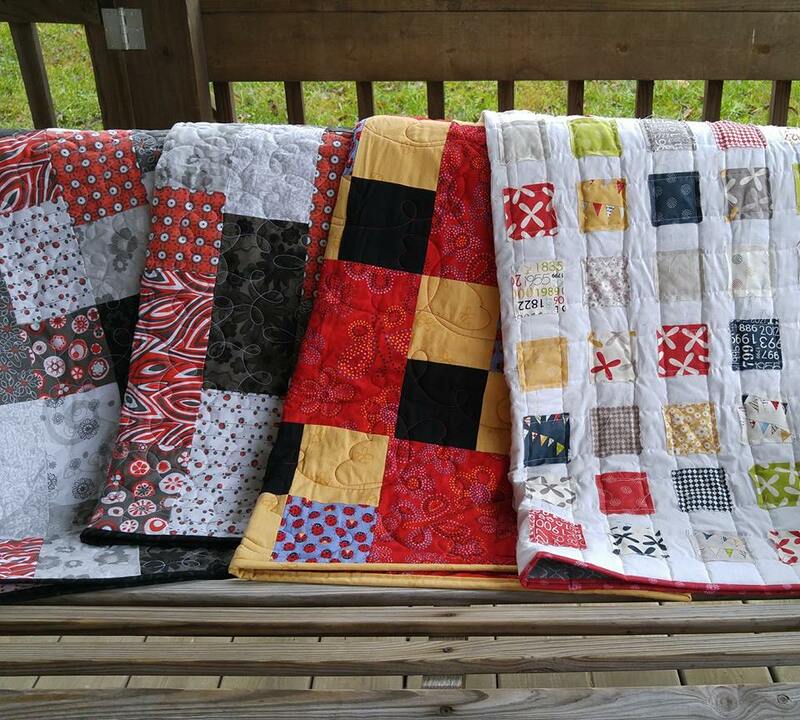 When taking some other small quilts to longarmer Kathy Michel, I decided to throw this one in too. 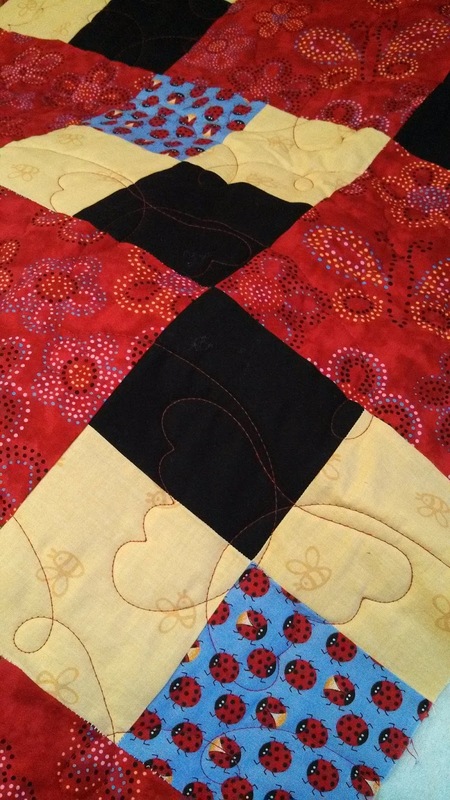 She used red thread to quilt butterflies on it. I used some of the leftover yellow fabric to bind it. A quick finish and a baby quilt ready to gift!